Tap between 7 and 8 area to start/stop chrono. 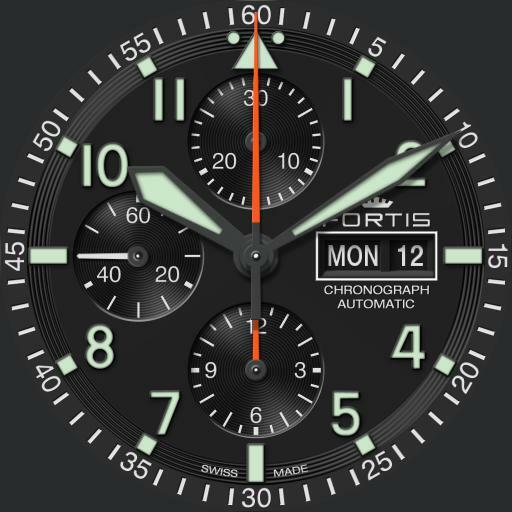 Large Chrono Seconds hand is watch battery level indicator in dim mode. Small Seconds hand is phone battery level indicator in dim.